Mandy has experience working with the Ministry of Health as a HECOPAB Officer in promoting wellness, preventing disease, offering basic health guidance, and ensuring that the communities she aids receive all the necessary services from the health facilities. These services are provided with the assistance of community health workers. Mandy’s long term goals are to become a knowledgeable sexual health educator, teach youth and work towards the prevention of teenage pregnancy in southern Belize. She also hopes to cultivate strong and active health committees in every local community. Her short term goal is to finish her training with GOJoven successfully and become a part of the Alumni Association. Mandy’s greatest passion is educating others and seeing the effects of behavior change towards sexual health and pregnancy prevention at an early age. 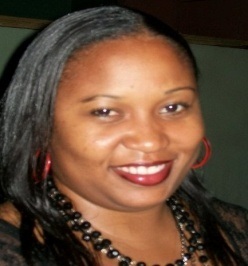 She holds an Associate’s Degree in General Studies/Tourism from Stann Creek Ecumenical Junior College.